Associate a Consulting and Valuation with HVS' New Delhi office and has worked on multiple feasibility studies, valuations and market studies in India, Bangladesh and Nepal. 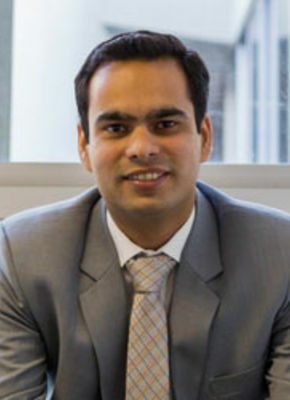 Prior to his tenure at HVS, Rishabh has worked in hotel operations with the Indian Hotels Company Limited (IHCL) before moving to a development role with his family's hotel business. Rishabh graduated from the Taj Management Training Program in 2008 and holds a BA (Hons) in Hotel Managementfrom the Institute of Hotel Management Aurangabad (University of Huddersfield, UK).